One of the reasons I love being a naturalist is that I find beauty and wonder everywhere outdoors, from the smooth patterns of a salamander's skin to the bulging textures of dripping rain drops. 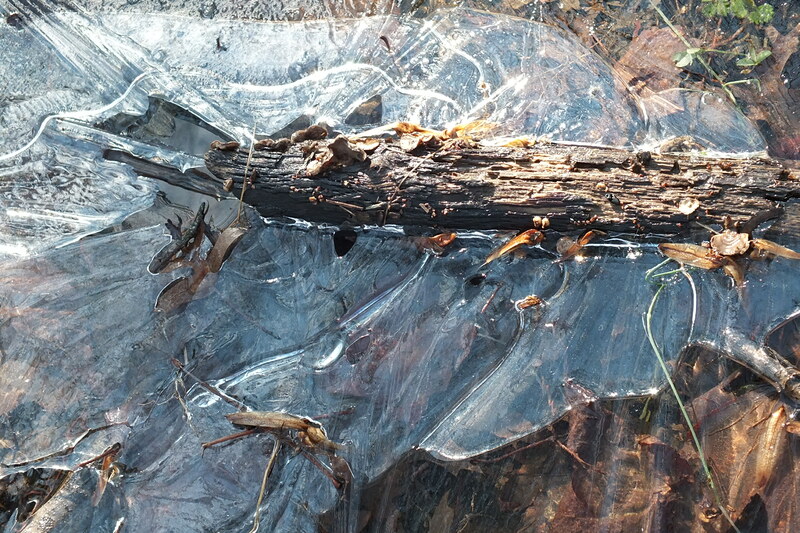 I thought I'd change pace a bit and share with you photo gallery of ice and water, inspired by the beauty I found when taking a walk along a forested trail and returning by the road side. 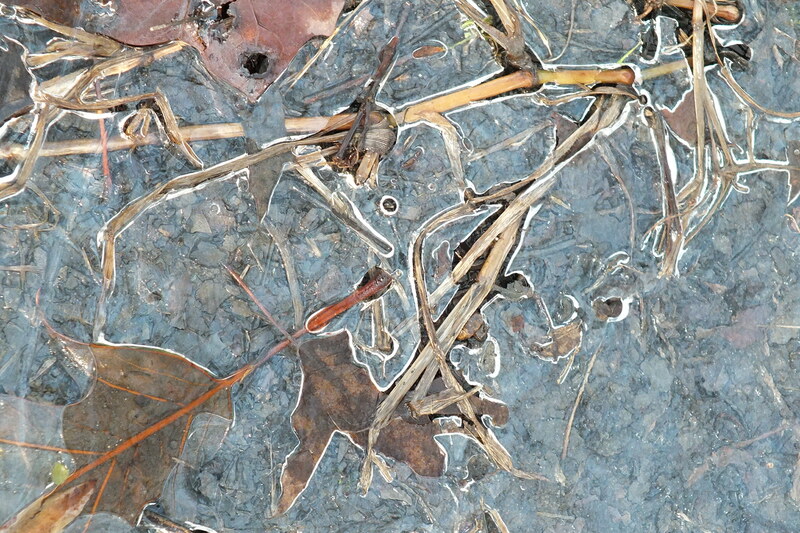 These are images from a melting frozen puddle. The ice cascaded colors and refracted light in such an amazing way. Be sure to look for the carefully choreographed reflections, you can see the forest and trees reflected in the pool of water. 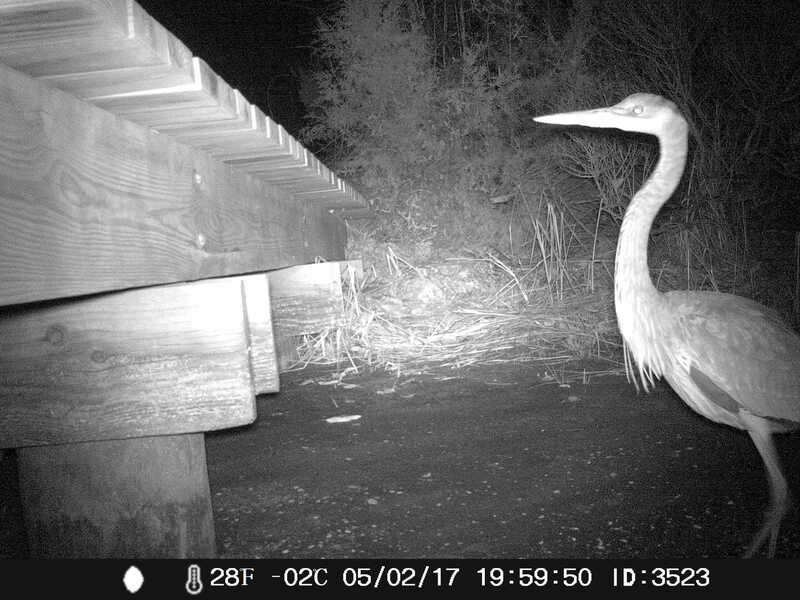 Hopefully this will inspire you to get outside and remember to look in places you may not have thought to look for beauty in nature. All Photos by the Author. Posted in Nature Photos, Pictures of Ice and tagged Nature Photos, Pictures of Ice on January 24, 2014 by Infinite Spider.